“This wonderful opportunity came up for me to use my Caribbean experience to introduce Vancouver to foods that go so much beyond the clichéd list of Caribbean cuisine,” Chef Kevin, Calabash Bistro Vancouver. 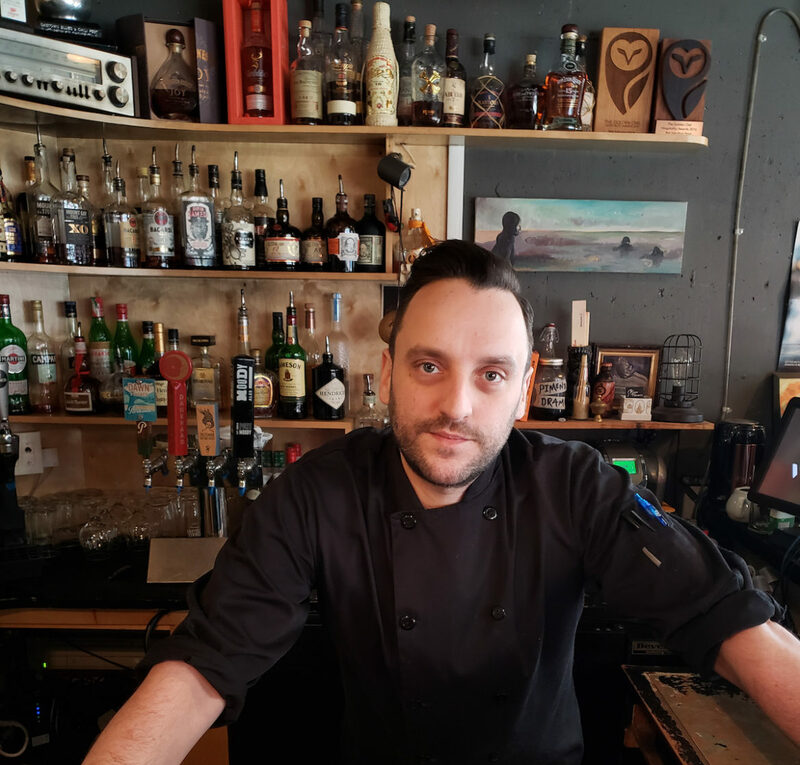 PTF recently visited one of our favourite restaurants around the globe, Calabash Bistro Vancouver, to meet with Chef Cullin, Executive Chef and Managing Partner of the establishment. Chef Cullin will be moving onto many new ventures over this year, and so he wanted to introduce us to his new executive chef, Chef Kevin. Stay tuned for Chef Cullin’s adventures in another video. Chef Kevin, whose cooking background is more in fine dining, lived in the Caribbean on numerous occasions throughout his chef life. While living in various Caribbean countries he developed a passion for the local dishes he discovered through his local friends, and visiting the locals favourite eating spots like rumshops, food stalls, and little restaurants not visible to the tourists’ crowd. Chef Kevin loved the Caribbean culture, the depth of flavours in each dish, the fact that every island had its own unique characteristic to impart to the global food scene. I know what he means, A dish where you know something is missing but cannot isolate it is a most unsatisfying experience, for example, that umami flavour in some dishes. Calabash Bistro prides itself on making everything from scratch in the house. When I asked Chef Kevin about the joys of roti-making, his response was priceless. We all know the Caribbean is made up of a variety of cultures, an unwilling diaspora of many peoples, that is steeped in history, and poured out in its vibrant food, rum and music scenes. Kevin was asked why he loves Caribbean cuisines and his answer was so aptly stated that you must read it for yourself. What the Caribbean people have done is they took the dark and stormy history of the Caribbean, and from the scraps of the rich they created these unique and joyous dishes. Caribbean soul food was born out of sheer necessity to feed families, and these dishes are so profoundly memorable that one keeps coming back for more. What is a white boy doing cooking Caribbean food? Then I should ask why is Jaimie Oliver cooking Asian food. A chef is a chef and if anyone exhibits a love for Caribbean food like us Caribbean folks then he is a part of the family…the global food-lovers’ family. Check out our video below, introducing Chef Kevin, Calabash Bistro Vancouver. And stay tuned for all the exciting happenings coming up with Chef Cullin.